Bursaries can seem like a very complicated mine field from first view - questions such as, ‘is my family eligible?’, ‘how much can we expect to receive?’, and ‘how can we go about applying for a bursary?’ might immediately spring to mind. To recap the basic facts: more than 150,000 pupils at the independent schools which are a member of the Independent Schools Council (ISC) receive some form of assistance with fees. The value of that financial aid, per year, is more than £350 million. That money could be made up of scholarships or bursaries that are awarded directly from their school, or other types of bursaries or fund awards that might come from other charities, trusts or charitable foundations. Each bursary will normally have a slightly different application process, but here we will look at the general way to go about researching and applying for a school bursary for help with fees. Note there is a difference between bursaries, and scholarships (which you can read about elsewhere on this website) - the latter are normally decided by merit, be that academic or artistic, or musical, and so on. By contrast, bursaries are normally purely decided by financial need - they are means-tested and are aim to help re-balance schools’ social make up to help each child who has the potential to succeed at the school to attend it. The first step to determining whether your family is able to apply for a bursary is to research the options available. Bursaries tend to be offered by most independent schools, but not all, so look into this. As you put together a list of schools for your son or daughter to apply for, look into their funding options. This will normally be listed in the prospectus, but you may have to do some further “digging” and speak to the school directly. Once you have had contact with the school, if you still want to discover more about local bursaries run by organisations such as charities, churches, funds and so on, you can find ‘official’ reference information in school guide books, but you may have more success speaking to less official sources such as other parents and past pupils, who may be able to tell you about other sources of funding that they or other local families have been offered. Once you have decided exactly which funds and school bursaries are worth applying for (first ensuring you are eligible - don’t waste school or charity time if you know your family income is above the threshold for the bursary, for example) then fill in the form carefully. You will need to provide evidence of household earnings, such as family pay slips; you may also need to provide references from someone in a position of responsibility such as a family doctor or faith leader. Do not be embarrassed about sharing the intricacies of your family finances; the information should all be dealt with absolutely confidentially and the officials involved will deal with it in a professional manner. I am female21 years old.Uneployed. Live with my brother. 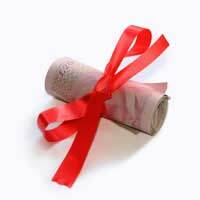 I have matric in diploma. Education is my passion. All my life i had a dream to further my studies. To see myself in varsity or college. So that i could led an example to others. Education to me is a bread and butter of my mouth. what is the requirement for this bursary and how to apply for it? Hieveryone my name is Neo at the moment I am having difficulty learning the fact that i have adhd does not help either despite this i am very good at school and kind to others and i help my mum, i love to play and everyone says i have lovely manners. I am 7 years and 8 months old I live with my mum and 2 sisters my mum has Narcolepsy so were very close as we understand each other and keep each other company. When I was 5 years old I came home with a picture book instead of a reading book. Extra classes were arranged for me in the corridor of my school. My mum did not like this and moved me to state school no2.. They don't put me in the corridor but they did take a year and a half to notice I have dyslexia. I have fallen way behind the other kids and i need to catch up as quickly as possible. My Mum has discovered a school near us that know how to teach children with dyslexia, Mum says they will have me reading and writing in no time. Please help us helpNeo pick up a book and read it to experience the endless hours of peaceful serenity a book can give you. My own disability limits what i can do for him financially so I have set up The Neo Karr Samuels Education Fund in the hope other people might want to help him.so our motto is "help a dyslexic child learn to read and write" by raising awareness and setting up this fundwe hope to one day end up helping other children too. I need advice on how to apply for a bursary for my son who has been accepted at Gramma School but I cannot afford the fees.Am a student as well and my family income is not adequate to cover the fees.